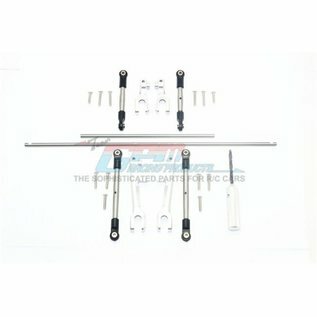 How: Install the tie rods on different positioning holes on sway bar. Purpose: Adjust the car to adapt to different road condition by modifying the angle of tie rods. 1. Aluminum + stainless steel combination are more durable and able to withstand stronger forces. 2. Dual position holes on sway bar arms to adjust the angle of the tie rods to adapt to different road condition. 3. 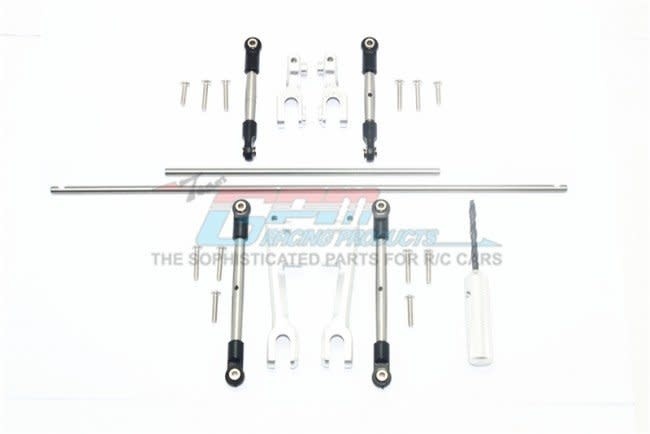 Stainless steel sway bar is thickened from 2mm to 3.4mm. Use the reamer to enlarge positioning hole during installation.